We traveled to Bremen. It was a long, deplorable trip! The cover over us got cracks in it here and there, and the water would drip through them when it rained. The coachman was a drunken wretch. In every single inn, especially where he was lodged for the night, he drank, and no one could get him away from it. If the young men had not looked after his horses, the poor animals would have died. Finally we arrived in Bremen. 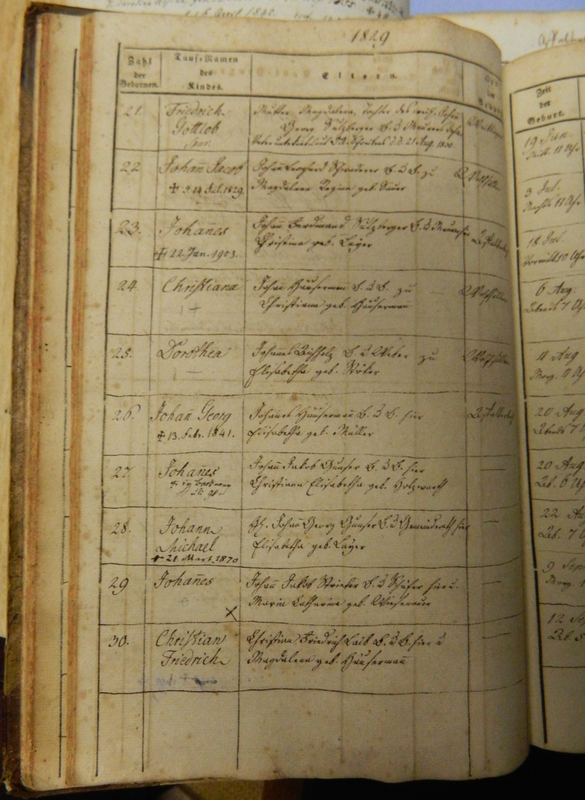 My father soon became acquainted with Christian brothers, especially a certain Kalbfleisch family. At a synod convention, I believe the location was called Collinsville,11 an old lady invited me over and told me that she had gotten acquainted with my father in Bremen. In Bremen they loaded us on a small vessel on a river12 and now we were headed to Bremerhaven. That’s also where we thought we were going to die; at one point our small vessel was sitting on the ground. After a while the water was coming toward us like a mountain, and we thought it was going to cover us.13 In the harbor two ships were ready – a beautiful new vessel with three masts, a speedy sailer called Louise, and an old vessel with two masts which was called Leondine. We really wanted to take the Louise, but there was no more room on it, and so we had to board the Leondine in disappointment. We were off and so too began the seasickness. My poor mother almost never left her bed. We ate sailors’ fare – black, tough hardtack. On the upper deck there was a walled-in firestove on which a large kettle was stored. The cook handed it over for cooking every day. If the girls did not feel well, then the young men did the cooking. They had beans which were put in the water in the kettle, along with a nasty piece of salt pork. Then they were cooked. The beans on the bottom were burnt, and those above them were hard. And then there was the grease on top, as thick as a finger. When midday came, then the people came with bowls and took their portion. But we Swabians had never eaten such food. In Affalterbach, in the morning we had a bread soup with fried potatoes, at midday millet gruel [Hirsbrei], creamed corn [Welschkornbrei], potato wedges and spaetzle [Kartoffelschnitz und Knöpfle], fried spaetzle and salad, pancakes and salad, steam dumplings [Dampfnudeln, a kind of roll], yapper slappers (Maulschellen, filled rolls), meatballs or sausage balls, depending on the circumstances, and so on. We didn’t have a lot of meat, but we did have some, though we never had salt pork. My sisters took our portion of pork raw, then they roasted it well and filled an entire metal tub [Blechstipig] with it and brought it over to us. They broke the hardtack into pieces with the hammer, put the fragments in a bowl and poured hot water over them and melted them, and thus made a good soup that we could eat. We had a good trip. No one died, and a little girl was born, who was baptized Leondine. Only once were the hatches closed on account of a storm. There was one time during the night that something slid past against us and our ship tipped way over to one side. In the morning the captain – he was still rather young, a short and most delightful guy – told us: “Another ship was sailing toward us and would have just about drilled us into the ground.” From then on the young men had to blow a signal. They had a long brass reed available and they positioned themselves at the front and one of them blew until he was out of breath, then the second one blew, then the third and so forth, the whole night through, in order to warn the other ships to stay away from us. On Sunday it was always quiet. My father would go onto the deck; everybody gathered around him. Even the sailors had to be quiet. The captain would lean against a mast. There a hymn would be sung, and my father would read a sermon from Ludwig Hofacker14 and would pray. We were about halfways there when the captain showed us a ship over yonder and said, “That is the Louise.” We arrived happily in New York, and two days later the Louise did too – the beautiful, new speedy sailer. 13 Strieter is describing what it looked like to him when he approached the sea for the first time. 14 Ludwig Hofacker (1798-1828) was a pietistic Lutheran pastor in Stuttgart and Rielingshausen. He was renowned for his passionate Christ-centered preaching; his church would often already be crowded an hour before the service began. On the 9th of September, 1829, I, Jacob Strieter, became the father of a baby boy. He was born into the world between one and two in the morning. On the 11th of September he was brought to Holy Baptism and received the name Johannes, and his name was entered in the Book of Life with the precious blood of Christ. 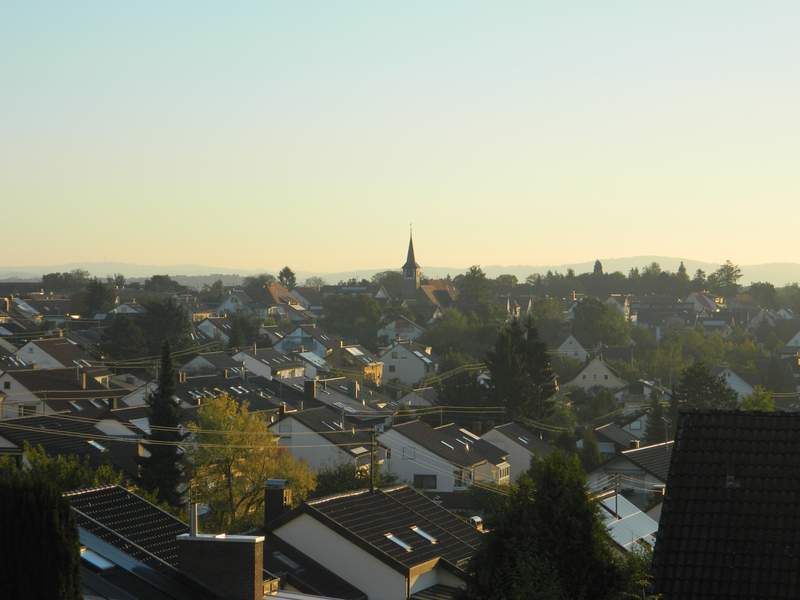 Affalterbach, a small market town with a population of 500 back then, is located on the country road between Marbach and Winnenden, two hours from either city. In the middle of the town was a crossroads. On the left-hand corner, as you stand facing Winnenden, was an inn, the Lammwirt [Lamb Inn], and on the right-hand was an inn, the Ochsenwirt [Oxen Inn]. Everything above there was called the Upper Village [Oberdorf]. From the Ochsenwirt it went somewhat downhill, and down there was called the Lower Village [Unterdorf]. In the Lower Village, off to the side, was the well. It was a good well; everybody fetched their water from it for men and livestock. In the Lower Village my father had a house of his own. We lived upstairs, and the livestock were stalled beneath us. Facing the street, which ran past below, were two windows. One evening fireworks were set off in the distance. We had the window open, were leaning out and were eagerly watching them. My sister shoved me to the side, I shoved her back and shoved my sister right out the window. She fell headfirst, one story down onto a stone slab. Father brought her up seemingly dead. But she soon came to again. My father was born on July 17, 1789, my mother on November 28, 1791. The family record for Jacob Strieter. a girl who died young,1 so I ended up being the youngest. My father was a shepherd at first. He sent his shepherd-servant with his flock to graze in the Bavarian countryside, while he guarded other people’s flocks at home. The servant came home and the flock was mangy, five hundred sheep, and Father had to have them cheaply slaughtered. With the proceeds he bought himself some more acreage, in addition to the acres he already had, and then took up farming. A old, restored fresco on the north wall of the sanctuary in the Evangelical church in Affalterbach. It appears that this fresco once encircled the sanctuary, depicting important stories from the Bible. Whether it was visible when Johannes attended church there is unknown. 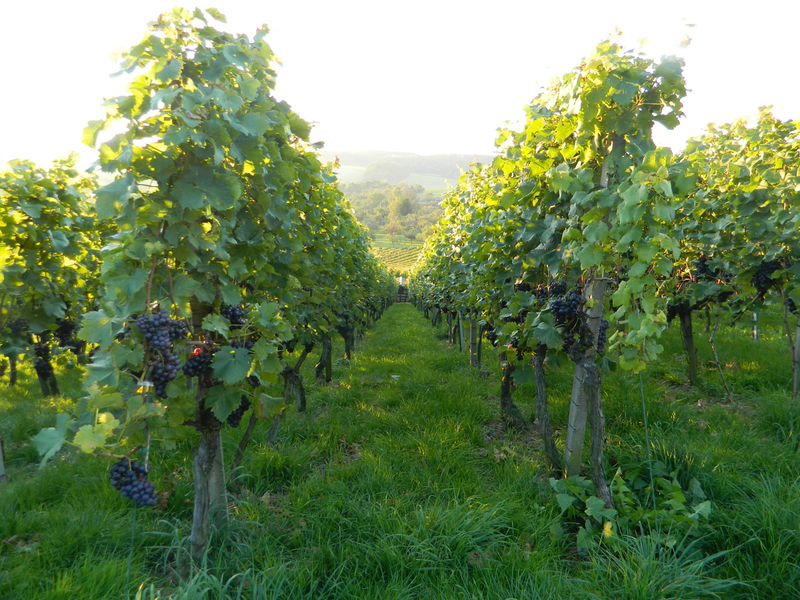 Vineyard outside of Affalterbach. Copyright 2013 Red Brick Parsonage. He said, “Yeah, you have cut off my young little tree.” But he did not punish me any further. One time there was gunfire in the direction of Wolfselten,6 a tiny little village on the Murr River where the mill was located.7 I followed the sound of the shooting, but I did not stay on the path; instead I went in at an angle. I came to the clay pit, where there was a bed of clay. It was nice and smooth and had a yellow tint to it. I tried to get across there, but I sank in up to my waist and got stuck. I was scared and cried out. Then someone came over from the road and got me out. But now I didn’t look for the shooting any more, but made my way home. The whole way I was gazing down at my yellow legs. My sister Margaretha, who was three years older, took off my little britches and washed them in the ditch opposite our house. 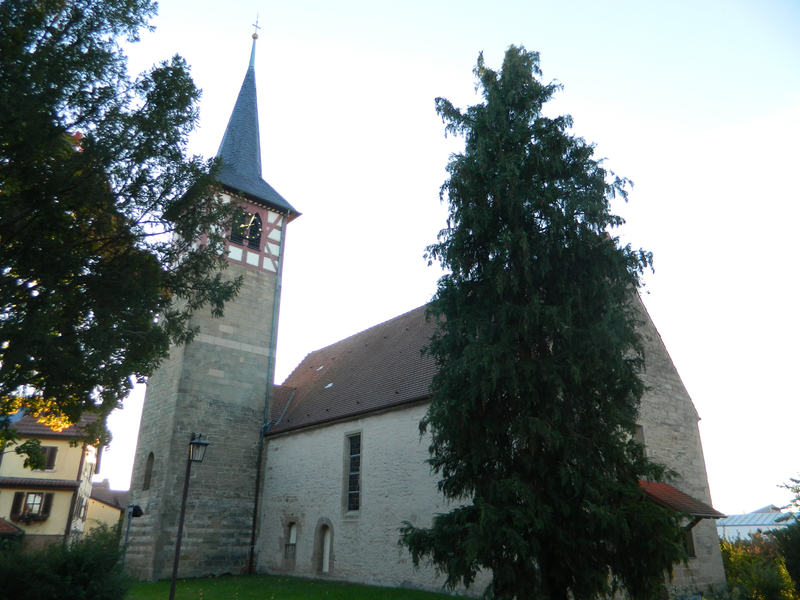 Evangelical church in Affalterbach. Copyright 2013 Red Brick Parsonage. The pastor’s wife, however, was pious. If anyone was seriously ill, then she would come after the pastor, even to the poorest people, and she would bring something good along and read to the sick person from the New Testament. My father was a shepherd at first, as I already mentioned, and during that time people would often send for him now and then when something was on their livestock, especially on their sheep. He had a beautiful sharp knife, with a white handle made of bone, maybe eight inches long. When he was called out somewhere, he would stick the knife in the inner side pocket of his coat. One day he had been out, came home and forgot to take out his knife. He went to chop some wood. The knife was situated in the pocket with the point facing Father’s waist, and when he swung down he stabbed himself in the side with the knife. He swelled up badly and was in a lot of pain and almost suffocated to death. Then came the pastor’s wife and brought some olive oil and told Mother to give some of it to Father and to apply it to the swelling in a hot press using a rag. Mother did this, and Father got better again. 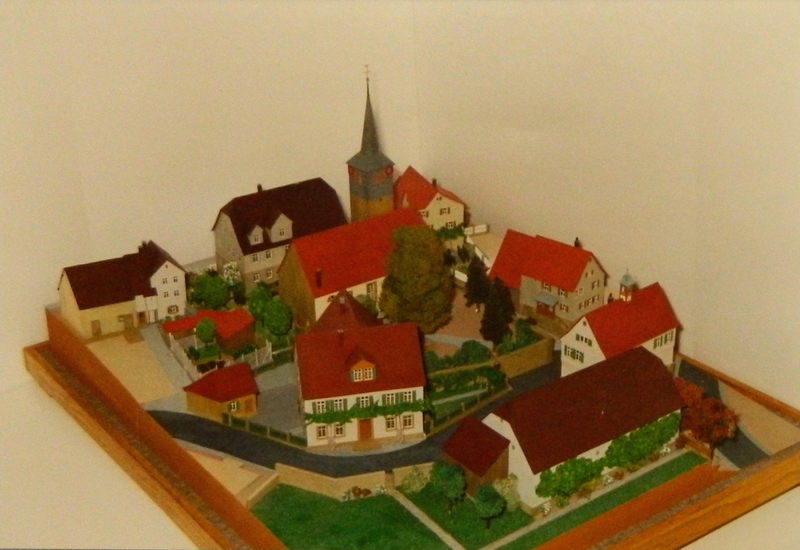 A model of the church in Affalterbach as it used to look, possibly including the schoolhouse. I also attended the school in Affalterbach for one year. This school was a little ways off the country road, toward Marbach. That’s where the church was too. There were two classrooms. In the lower level the schoolmaster held class with the smaller children, and in the upper level his son, who was called Provisor, taught the bigger children. Both were enormous wardens. In the lower classroom I was in the first row. He sat behind his desk, on which he had a long blackthorn the width of a finger. If someone misbehaved, then he would laugh, “Ha ha!”, take his stick, usually come striding out, up over our heads, until he reached the culprit, and then down it came in all its force. Oh, what dread I had for that old teacher; but I never received any beatings. Affalterbach today. Copyright 2013 Red Brick Parsonage. One time I was heading home from school; it was already late. There was music coming from the Ochsen.9 Before the Ochsen we had to veer right to go home. I was trotting along slowly behind my siblings. But when I heard the music, I followed the music. They were dancing in there. On one side there was an elevation, on which the musicians were sitting. An old codger was playing the bass viol; my Injunlanders called it the Brumm.10 I clambered up and sat down next to the Brumm player and kept peering in at the gaps in order to find out where the sound was coming from. How long I was sitting I do not know, but suddenly my sister grabbed me by the arm, pulled me down and marched on home with me. 1 Barbara was born on December 28, 1831, and died on January 8, 1832. 2 The fuller title is Vier Bücher vom Wahren [or von Wahrem] Christentum (Four Books about True Christianity). Johann Arndt (1555-1621) is best known for this book and for being the pastor of the young Johann Gerhard, who would become one of Lutheranism’s greatest theologians. 3 Johannes Brenz (1499-1570), a fellow reformer and correspondent of Martin Luther, who participated with him in the Sacramentarian Controversy and the Marburg Colloquy of 1529. 4 From st. 13 of “If God Himself Be for Me.” The you refers to Jesus. 5 The final lines of st. 13 of “Komm, mein Herz, in Jesu Leiden,” a German Communion hymn sung to the tune of “Soul, Adorn Yourself with Gladness.” Based on the context of these hymn verse excerpts, Jacob Strieter appears to have used these sayings when things were going badly. 6 That is, Wolfsölden. Wolfselten is basically a phonetic spelling. See also next endnote. 7 Wolfsölden, just east of Affalterbach, is actually located on the Buchenbach (Beech Tree Creek), connected to the Murr River. Still today on a map you can see a Mühlkanal (mill canal) off of the Buchenbach. Both the creek and the canal run along Mühlenweg (Mill Lane). 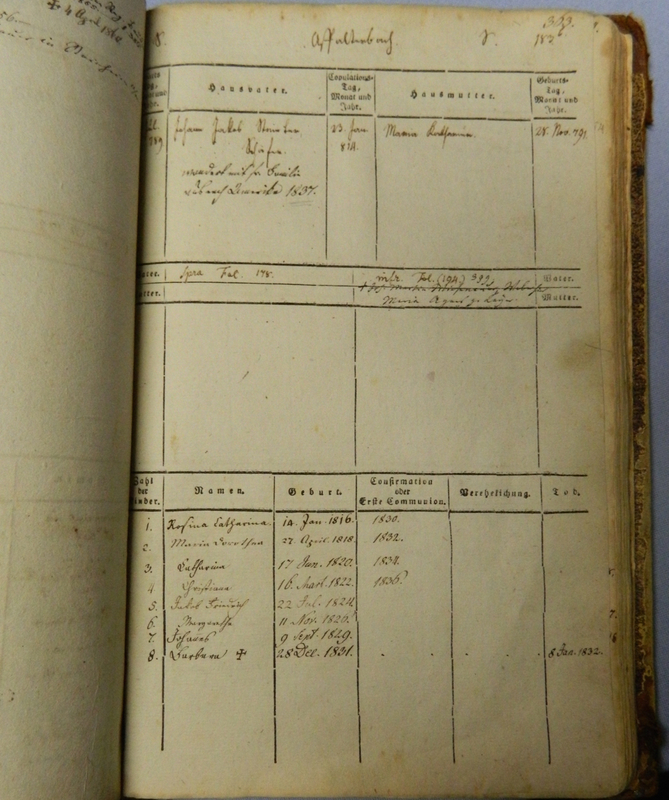 8 According to Evangelische Kirchengemeinde Affalterbach’s website, M. Carl Gottlieb Goez (or Götz, as Strieter has it) was pastor from 1818-1837 (accessed 26 July 2015). 10 Strieter will talk more about “his Injunlanders” later in the Wisconsin chapter. Brummen means to growl or rumble, and in telecommunications a Brumm is a hum. 1 After this Strieter added the following sentence in his manuscript: “I also wanted to note that everything I write is going into the hands of my brother-in-law Leutner for revision and then from his hands to the press.” This was then crossed out, presumably by Leutner himself, and not included in the print edition. 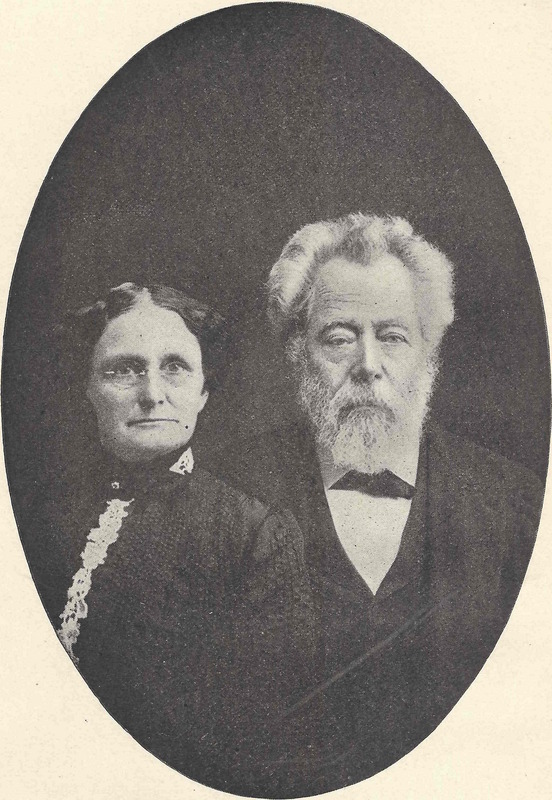 Pastor Johannes Strieter and his wife. I feel that any attempt on my part to capture the enormous significance of this autobiography for all the various branches of history that it touches, especially Lutheran church history, can only fail miserably in comparison to the original preface and the autobiography itself. To attempt to do so would be akin to attempting to describe all the grandeur of the Grand Canyon or one of the great European cathedrals in such a way that no one reading my description would ever gain any advantage by gazing upon it with his own eyes – an utterly useless endeavor. So permit me simply to share how I came to undertake a translation of this remarkable work. Pastor Johannes Strieter (1829-1920), a Lutheran pastor of the Missouri Synod, was the first pastor to serve those who would become the founding members of my two current congregations. I have been working to compile a thorough history of these two congregations for several years now, and so I had necessarily become well acquainted with Pastor Strieter. I had even visited his hometown in Germany and the area in Michigan where he grew up. But I had no intention whatsoever of translating his autobiography. It seems that everything in connection with Strieter’s autobiography has taken place against someone’s will. Strieter himself wrote it against his will, as he relates in his Preliminary Remarks. The preface for it, presented below, was written against the writer’s will. And now I have undertaken to translate it against my will. At least three men had already attempted translations of it. The most worthy attempt was by his son, Carl Strieter (d. 1952), who actually made it through the entire work. 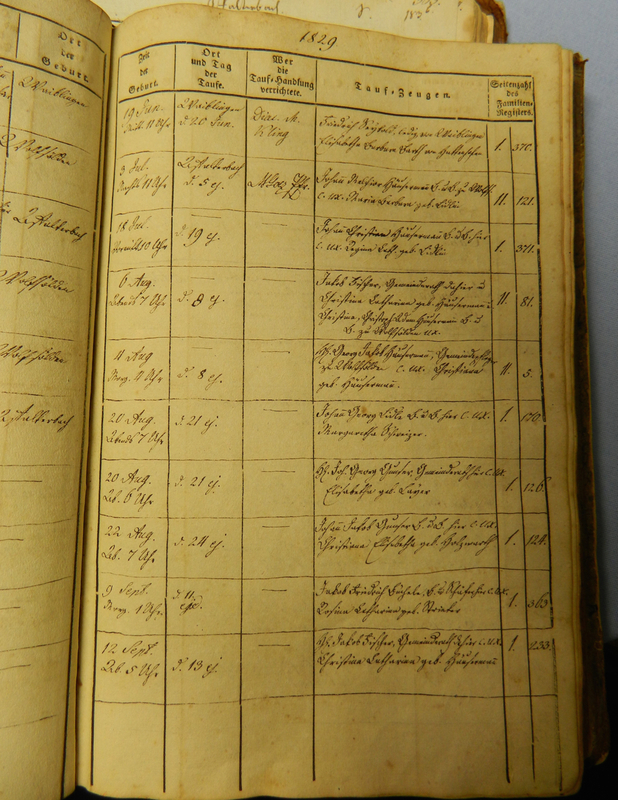 But in June of this year I had checked out an original German copy from the Wisconsin Lutheran Seminary Library, and a few nights later I was reading through portions of it, just to get a sense of the German. As I was reading the first several pages, I thought, “I don’t remember reading some of this stuff before.” So I checked it against Carl Strieter’s translation and, sure enough, there were, here and there, phrases or even entire sentences that he inexplicably omitted. Upon further investigation I discovered no end of lamentable omissions of choice details. I plan to present the various parts of Strieter’s autobiography in successive, manageable portions. If any reader even merely stumbles across these posts and fails to read them, I can only say that I will not be able to help feeling deeply sorry for such a person, and neither will anyone else who has tasted and savored these exquisite morsels from Strieter’s memory. This translation and all those that follow are taken from the Lebenslauf des Johannes Strieter, Pastor Emeritus, von ihm selbst erzählt und geschrieben (Life Story of Johannes Strieter, Pastor Emeritus, as Told and Written by Himself) (Cleveland: F. M. F. Leutner, 1904). I am indebted to Winfried Strieter of Ohio, Johannes’ great-great-grandson, for contacting me, being the first to put me in touch with the original German autobiography, and for all his other manifold help and encouragement. Johannes would have refused to write his autobiography if it would not have glorified God. But his relatives assured him that it would, and it has, and it will continue to do so. My prayer therefore is simply that as many people as possible would read and digest this autobiography. Thus the triune God will be glorified. The venerable author of this autobiography relates within it that in his youth the idea of becoming a pastor had been awakened in his heart. Feeling his unworthiness, he had chosen an ash tree in the vicinity of his homestead as an altar and at that ash had repeatedly implored God on his knees to please take this idea away from him, since he was unfit for the ministry. But the One who governs the heart does lead him into the preaching ministry. After he has been active in God’s vineyard for a half century, and the same God has put him into retirement, he is asked to compose an account of his life’s story. In humility he earnestly resists this request. But the reasons given – namely that in this way he could promote the glory of God and the building up of his kingdom even now, since his Lord had deprived him of the work he was accustomed to, and that he should not bury his talent in the handkerchief like that [cf. Matthew 25:14-30], and so on – have pressed the quill into his hand. “Thus the Lord governs hearts” [cf. Psalm 33:15], will be the judgment of the Christian readers of this book. The undersigned, who was once confirmed and won over to the work in God’s vineyard by this venerable spiritual father, has let himself be persuaded to write a preface only after much resisting, and for this purpose he has read through the manuscript repeatedly. The cliff which threatens to ruin a work like this has thankfully been avoided. This self-authored biography is not a self-trumpeting. It is rather a work praising the One who entered the author’s name in the Book of Life with the precious blood of Christ at his baptism, just as the author’s father wrote in the family Bible. Consequently the entire work is not a narrative laboriously pieced together and forced into a desired format. If you had the pleasure of hearing the author especially on the occasion of the various conferences and synod conventions, or of simply interacting with him otherwise, and if you now got the chance to read this book, you will immediately acknowledge: This is Pastor Strieter as he lives and breathes, in his seriousness and humor, as he talks, jokes, thinks, reports, and admonishes. And what a string of instructive, gripping, delightful, encouraging experiences, events, and anecdotes! You have to laugh; right after that you would like to cry! A preface should be short, but this one would get very long if we were only to pick out pieces here and there from the full work. Biographies like this are wells for church historians. From this mine many a building stone can be taken for a history of our precious synod. Here an eyewitness tells the story of the colonies of the Franconians in Michigan, established in the backwoods, and the story of the Indian mission there, and the story of our institution in Fort Wayne from the years when the initial passion was still burning. Here we see the young laborer, pressed into the ministry prematurely by the church’s need, in hopeless and in productive mission stations, also ministering to a wide and broad field where he never preached less than four or more than nine times a week and covered some 6000 miles during the year with his horse. Here we find the spiritual shepherd relaxing at home, even though seldom ministering to just one congregation. As we watch, he leads many well-known figures past our eyes, e.g. Walther, Crämer, Wyneken, Fürbringer, Schwan, Lindemann, Sihler, Sievers, Hattstädt, Ruhland, Jox, Brauer, Wunder, Wagner – some he leads past quickly, others leisurely. He tells the story of conflicts with sects, lodges, and false brothers, of cross and distress within and without, but also of enjoyable experiences in an extremely happy marriage, in the genuine love of penitent Christians, and in the fruit harvested already on earth from seed that had been scattered years earlier. And all of this is done in the original, unique style of the straightforward and steady evangelical Missourian warhorse, who has cleared, dug, plowed, planted, and watered for more than fifty years exactly where God placed him, and now presents here both old and new from the treasure of his rich experience [cf. Matthew 13:52]. Many a preacher, teacher, or listener still living among us like a pillar from ancient times will read the memories from the author’s youth shared here and will live in them for hours at a time, and they will also evoke his own such memories. Many a person will be refreshed by these recollections in the quiet hours after exhausting work. Many a person will take away helpful tips and ready weapons from the author’s pastoral activity and will utilize and apply them according to his own gifts. For every reader there is some benefit inside. Dear, beloved fellow believer, take and read. You will not regret it! God has taken the pastoral ministry in a congregation away from the beloved Father Strieter through the deafness imposed on him. May God let him experience in these years that, at God’s direction, he has taken his hands out of his lap in order to strengthen his fellow pilgrims on the way to the city of eternal rest through this autobiography. Finally, up to the present Father Strieter has as a matter of fact belonged, along with the apostle Paul, to those who are poor, but who make many rich, to those who have nothing, yet possess everything [cf. 2 Corinthians 6:10]. So for him and his life’s companion, may God also partially use the proceeds from the sale of this little book to answer the petition, “Give us this day our daily bread”!